from us here in Canada! Now on to the tute! i promised to have this up last week - oops. :( My memory is not what it used to be. Mothering three small children can really mess up your memory, focus, and attention span. 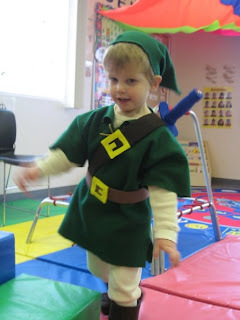 Anyway, for my boy's link costume, we had little brown covers that went over his shoes made to look like Link's boots. All you'll need for these are a ruler, scissors, brown felt, and a hot glue gun. You can sew it, but i found gluing was faster and easier, and they still held up just fine. First, decide which shoes your child will wear with the costume and grab one for measuring (left or right - doesn't matter). 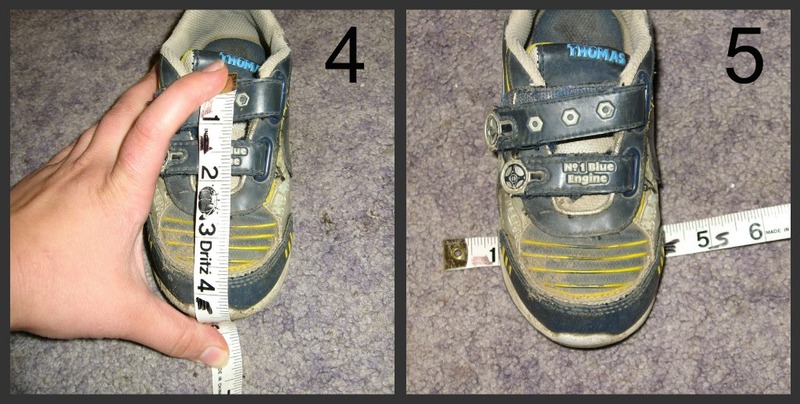 - Measure: 1) around the opening (loosely - better too big than too small), 2) from the center back to the front, 3) the height (on the side) from the ankle to the floor, 4) the front from the top of the ankle to the floor, and 5) the width of the sole. Make sure to add seam allowances - even though we're gluing it all, it still needs to have allowances. Hot glued together at the back and folded over with a slit in the front. Measurement 1) from above + seam allowance will be the width of your tube. Hot Glue the edges together and set the tube aside. Glue the back edges of the two pieces together (or you could cut it all in one piece if you have a long enough strip of felt). Then glue the boot cuff to the foot. Then i attached a strip under the shoe to hold the boot cover in place (placing it under the arch so it won't get worn down from walking). I highly recommend putting velcro on the bottom strap, so they can put the covers on their bare feet, put their shoes on, then pull the boot covers down and secure the strap. Though the opening on the cuff was wide enough to slide the shoe through, it was tricky and annoying. Make sense? Clear as mud? Let me know if there's something that needs clarifying! I always love to hear your thoughts, but please keep it kind and constructive. Thanks so much! CAN I USE YOUR IDEAS? Please do not use any photos without prior permission. You may share any of my ideas anytime **on the condition** that you mention where it came from and link back here. I share my ideas, tutorials, even the PDFs I work hard to create, free of charge for those who would like them. I do this to help YOU and to make your life a little bit easier. 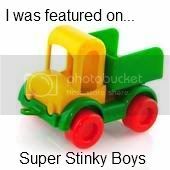 I try whenever possible to link back to ALL the sites and posts that have inspired me, and I hope you show enough respect to me and all my hard work to do the same. How to Train Your Dragon Birthday Party!! "Dragon" Party Game: "Feed the Dragon"